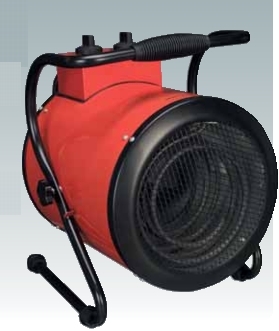 Electric fan heaters for industrial applications. • Features two heat settings and adjustable thermostat control with fan only option. • Auto cooling system to prevent unit from overheating during use. • A totally dry heat with no condensation, no gas, no fumes and no smell. Ideal for workshops, garages etc. • Supplied with three phase power cable and plug.